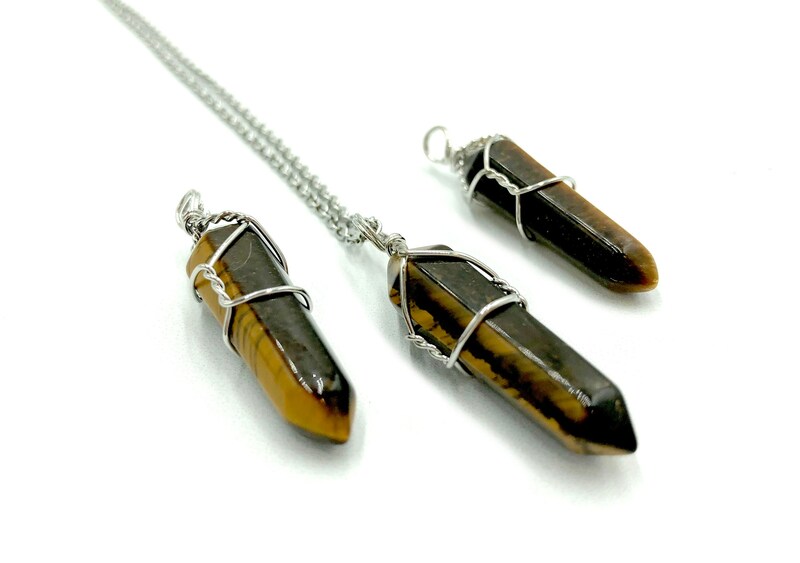 Tiger's Eye promotes a feeling of calm and helps to settle anxiety. Each necklace is 14 inches long with 5 inch soldered extender chain. Stainless steel. Lead and nickel free. I’ve been waiting for a tigers eye pendant for a while now, and this one didn’t disappoint. Absolutely gorgeous with wonderful craftsmanship. I can’t recommed Raven Beads highly enough. I have bought tons of jewelry from Gianna over the past two years and have never been disappointed. Beautiful pieces that always ship in a timely fashion. I have never recieved any damaged products, but with the spectacular customer service, I know it wouldn’t be an issue to get something fixed or replaced.